I have a feeling that you all might like to have a little cash’ola for your summer vacations, staycations or just for life’s little necessities. 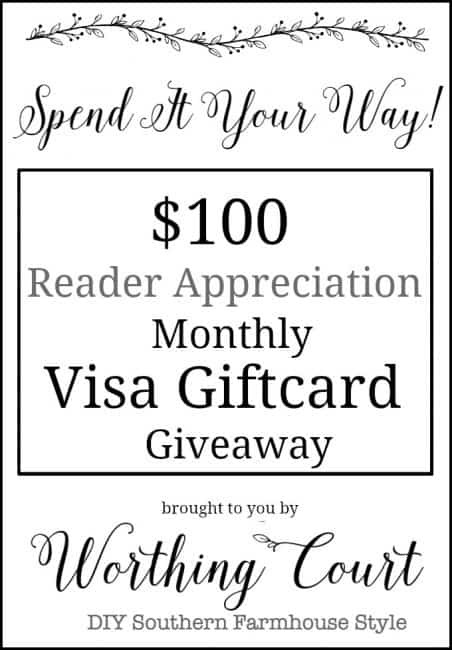 😀 So for this month’s Reader Appreciation Giveaway, I’m giving away a $100 VISA gift card! That means you can spend it just about anywhere that your little heart desires. SCROLL TO THE BOTTOM FOR ALL OF THE GIVEAWAY DETAILS – NO PURCHASE IS NECESSARY! In case you need to get caught up or would like to revisit anything, let’s take a look at some of what went on around here at Worthing Court during the month of June. It was a busy, busy month and I didn’t post as often as I would have liked to, but I did manage to accomplish a few things! I want to tell each and every one of you that I have the VERY BEST readers that there are!!! I’m so thankful and humbled that you take time out of your busy days to stop by and visit me and leave your sweet comments, questions and emails. I’m so thankful to have all of you follow along with this crazy journey of ours. I hope that somewhere along the way, I’m able to you inspire and help you to create “home” no matter where you live! Thank you for all your inspiration – love your blog. I love your ideas. Wish I was more diciplined to get things done. Always look forward to your blog and emails. What a pretty home and wonderful inspirations! such great decorating ideas thank you! I, too, like the fresh look to your porch. Of course, I love love love blue colors and it gave me inspiration for buying new throw pillows for my area. Thanks for the inspiration! Thank you! Have a great holiday weekend! Enjoy reading this blog -keep it coming!! I just found your blog this morning. I’m really enjoying what I see. I often wonder what my life would have been had there been blogs when I was a young woman, I think I would have really embraced this type of work and life. ? Thanks for the chance to win and the recap. I need to make that cobbler! I am loving that porch refresh look! Beautifully designed blog. Enjoy the holiday! You’re blog is always inspirational. Thank you for creating it. Love your blog, have a sweet July 4th! Ooh that cobbler looks amazing! You always have the most inspiring blog posts! I just love all your great ideas and yummy recipes. Thank you so much….keep them coming…i love them!!?? That Southern Blackberry Dumpling Cobbler looks and sounds amazing! Love this blog. Can’t wait to try the blackberry cobbler. I just picked a gallon bag full. Oh i could really use the extra money so thanks for this oppurtunity! Best way to enjoy my morning cup of coffee — reading your inspiring blogs — I so enjoy your tips and tricks! Keep them coming! I enjoy reading the scoop! Love when I see it in my inbox! I love our recipes! I love the grilled shrimp tacos. I love your ideas and inspiration. This cobbler looks delicious. I will certainly try this. Thanks! Everything is always so beautiful and inspiring!!! I just found you, and I am really glad. The information and the ideas you give are really helpful. Have made a list on pinterest, already been on your site 45 minutes and I’m sure I will be back soon! Sitting there looks like it would be very peaceful. . I enjoy reading your blog and all of the inspiration you share! I enjoy the variety of your blog. Great job. You keep our interests. Your blog is sooooooo inspiring. You have given me so many great ideas. Thank you. Your porch decorating ideas are so inspirational. I have a porch almost all around the house so lots of room for decorating. Love reading your blog, keep it coming please. I love your ideas! I’m copying some of them for my home!! Just signed up to receive your blog and looking forward to each new one! I enjoy reading your blog quite a lot. Thank you. Just recently found your blog. Love your ideas. We just moved into a new home and you are giving me some great ideas. I want to thank you for all your decorating advise. I have redone my dinning room and living room walls based on your design ideas. I loved the Porch Decorating segment! So relaxing and cozy! Thank you for your helpful advise. I cant wait to try your blackberry cobbler recipe. I love blackberry anything. Have a great day. Love your blog so much. Your porch swing is to die for!! Love your porch – thanks for the inspiration! Love your blog. You have great design advice. Thank you! 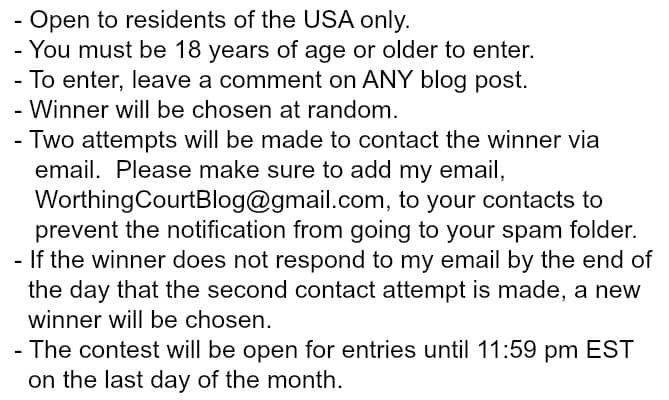 Thanks for making a Visa “giveaway” available to your blog readers. I always look forward to your projects to see which ones I can incorporate into my own home/lifestyle! I love your blog and get so many ideas that I can’t wait to try. I love your home, you have decorated it so beautifully. The blackberry cobbler looks scrumptious! Have sent the Hubs off to the market for the ingredients–he is perhaps one of the world’s top aficionados on fruit cobblers! Your home is so lovely. I do believe living in the south is a great advantage. I’ve loved everything you’ve done in your home – but that porch swing – oh my goodness, it is calling me to read a book or maybe even take a nap! Thanks for all your fresh ideas. I am climbing out of my decorating rut with each of your blogs! Hello, so glad I found this blog, it is amazing, thank you for what you do! Your porch is absolutely beautiful! I love all your ideas! So inspirational. Thank you for the opportunity! I enjoy your blog very much. Lovely porch! I missed the porch and cobbler posts because last month was a crazy busy month. Thanks for the recap. I love your porch and although it is 90 outside right now our front porch is shaded and pleasant. Love porches! I just love all of your decorating and ideas, keeps me inspired. Always something beautiful too see !! Your in my blogger loop ? 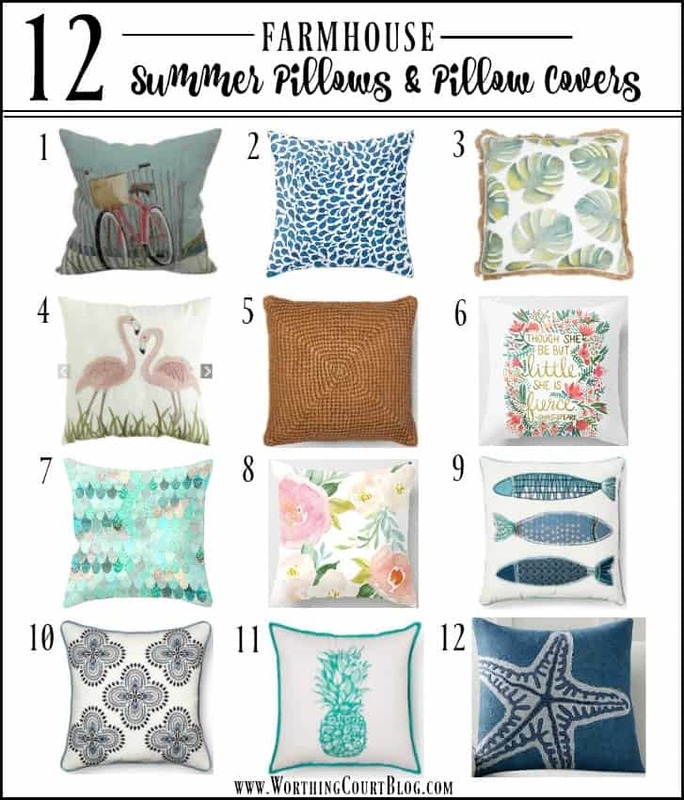 These pillows are so pretty and we sure need some new ones. Thank you for this generous giveaway. Your blog is so lovely. This blog is so informative. Thank you. Thank you for this blog. The blueberry recipe looks so delicious. You are a great blogger. I really enjoy reading your blogs. I live in North Carolina, too, in the Triad. I really like your new porch, it looks like a great place to relax. Thanks for sharing! I look forward to this page daily! I have been trying to read your archvies. Love your decorating. Recently found a post about an easy early fall table centerpiece.. I think I am going to try it for august. Your porch is inspiring. The pic grabs your attention with all of the pretty blues you used! Summer “cash ola”; sure has a nice ring to it! Always enjoy your posts! The patio shown is just lovely! Love your ideas. Can’t wait to incorporate them in our home. Wonderful inspiring ideas…just need the guts to try some of them! I love porches! Mine needs some serious work and you have given wonderful inspiration. Have been looking for you favorite color of Rustoleum spray paint. So far no luck at HD, Lowes or Walmart. Will continue my search. I cannot wait to try it. Love your blog and your home. I recently bought some Rustoleum spray paint in the color you used in your home. I just have to decide what I am painting! Love to read your blog…. Hi Suzy, loving your blog and all the archives. It is so easy to be motivated as i read, but difficult to put it into motion! Is there a motivation or creative pill I can take to make it easier! Ha! Enjoy your ideas ! Thanks for the giveaway !!! pICK ME ! PLEASE ! Love your blog. I can always find something to inspire me. Have a terrific Tuesday. I look forward to your posts. The gorgeous photography and great ideas are always inspiring. The blackberry cobbler looks amazing and exactly like the cobblers my southern grandmother used to make! Thank you so much for the recipe! I enjoy reading your blog! You have such talent for decorating! I’m learning so much while following your blogs…..keep on blogging!!! I especially enjoy the beautiful selection of pillows. There is something for everyone. I am just loving your porch more and more! Just love your new swing!! I love your design sense. I subscribe to many blogs yours is one I make sure I read as soon as I receive it. The porch swing is a summer memory waiting to happen–especially with the blackberry cobbler! Thanks for sharing! Sure is hot here in Florida! Favorite thing to do when it’s like this is crafts and read Worthing Court in the air conditioning. Thanks for all the great ideas and making these dog days of summer, so enjoyable. Suzy, you have such great taste! And you are so generous with the Giveaways. I’m a little behind in reading all your posts, but it will be fun going back and catching up, I know. I love your summer porch up-date. I did get time to read that one. I would love to take a nap on your porch’s swing! You have created such a beautiful, serene world. Love all that blue. I love reading your blog. Everything about it is inspirational! 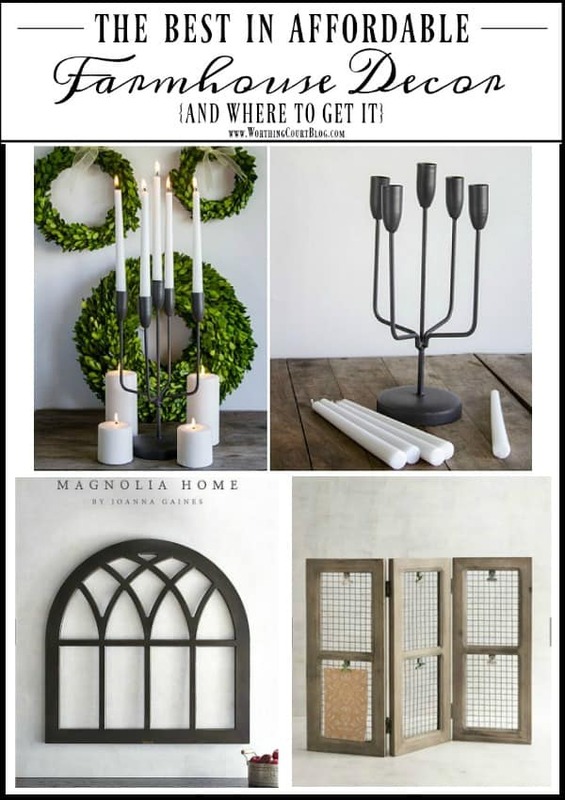 I am loving the porch re-fresh post! Beautiful. Suzy, you are an inspiration to all of us who have to decorate and update on a budget. When you demonstrate how we can take items that are old and tired looking and rework them to make our homes more beautiful and updated, be assured your time and efforts are really appreciated. 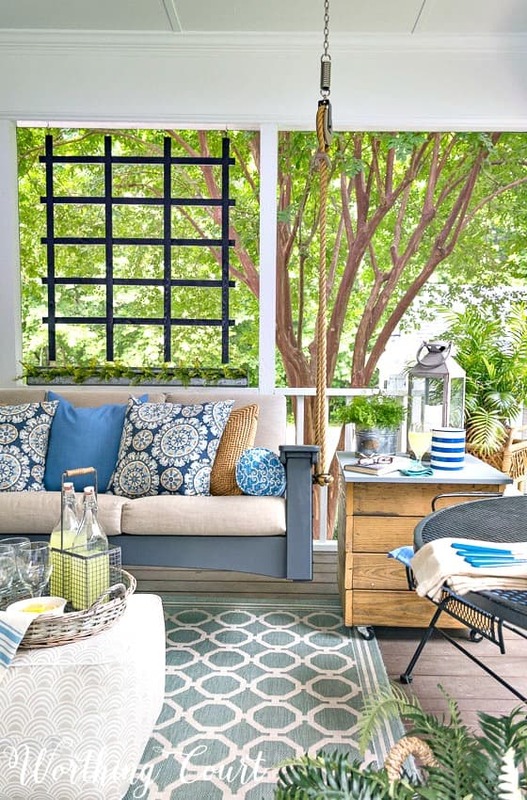 Love your porch refresh! May I come and have an iced tea with you and visit? Your blog is the greatest. I always look forward to seeing it listed in my emails. 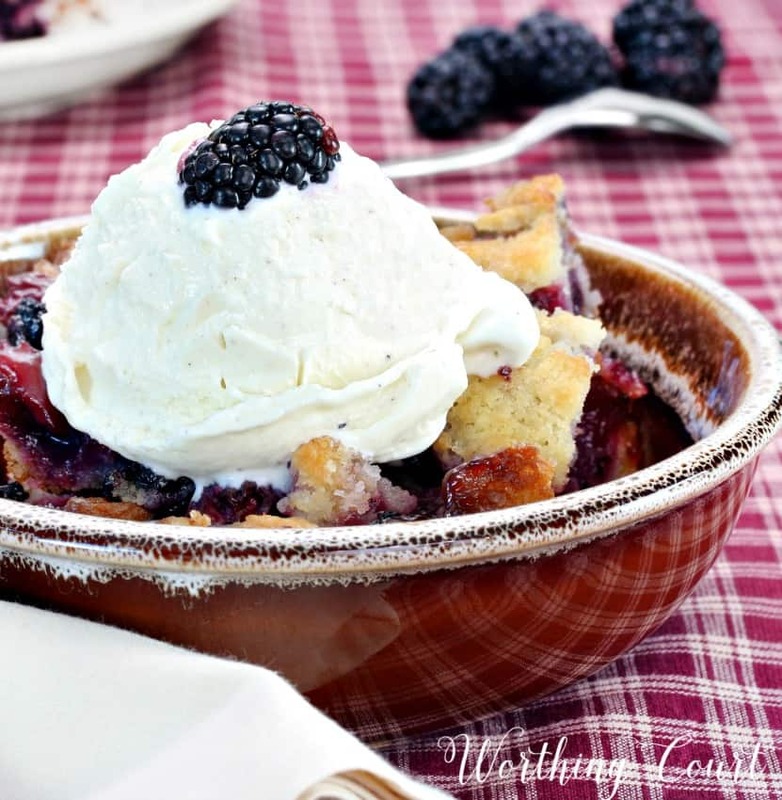 Your Southern Blackberry Cobbler looks wonderful! I intend to make it soon. I love that bicycle pillow. Also your porch is so inviting. You always amaze me. You are so creative and original!! The blackberry cobbler with dumplings looks delicious! Suzy, you are such an inspiration, I love everything!! Just love your blog!! You are so very talented.